Access Business Group (Ada, Michigan) develops, manufactures, and distributes a comprehensive range of durable goods, including patented water treatment and air filtration systems, and an award-winning coffee maker. Access has emerged as a leader in water filtration products, using special carbon and ultraviolet (UV) light technology for optimal health and taste benefits. The National Sanitation Foundation International commends the high performance of Access filtration systems, and the Water Quality Association awarded Access with its Gold Seal in 2000. A division of Alticor, Access has over 40 years of experience in product design and development. Two years ago, Access Business Group wanted to produce a high-end coffee maker to support a line of water filters and gourmet coffees. The resulting Kahve Coffee Maker is the only machine of its kind endorsed by The Society of Specialty Coffee Association (SCAA), the largest trade group for the coffee industry. Through several design iterations, using special software, Access successfully reduced parts count, assembly time, and cost. Distinctive design features of the Kahve Coffee Maker include a spinning brew basket and closely controlled water temperature. Special attention to temperature control and uniform coffee saturation achieves the taste benefits of maximum coffee extraction with pure water. "Coffee drinkers will purchase high quality coffee beans, but they now want sophisticated coffee makers to produce the richest possible taste," says Rick Good, research scientist and process manager at Access Business Group. "Our main challenge, beyond creating flavor-eliciting features, was to design the coffee maker to be a streamlined, efficient machine," says Good. Access Business Group achieved its objectives with help from Design for Manufacture and Assembly (DFMA®) software from Boothroyd Dewhurst, Inc. of Wakefield, Rhode Island. DFMA software provides a systematic means of examining the structural efficiency and overall manufacturability of a product. Design for Assembly (DFA) analysis helps engineers assess the contribution of each part as it relates to the cost efficiency and functionality of the whole design. Design for Manufacture (DFM) analysis enables designers and concurrent engineering teams to anticipate manufacturing costs early and to make informed trade-offs regarding the costs of producing multifunctional, streamlined designs. A major goal of DFMA analysis is to determine the minimum number of parts necessary in a design. For Access Business Group it is also integral to the ITM (Ideas to Market) process for benchmarking and brainstorming on issues related to product features and capabilities, manufacturability, and public health. At Access, use of DFMA typically begins at the preliminary bill of materials stage to establish a basis for comparing further revisions. 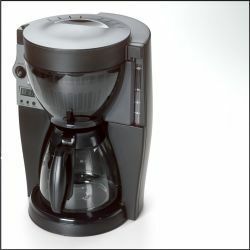 For some durable goods, such as the Kahve coffee maker, Access benchmarked existing units from Krupps and Braun. These represented established competitors' designs with price points comparable to the Kahve. DFMA analysis is an iterative process at Access, applied at the end of each design revision. "We use DFMA aggressively to challenge the design to become ever more efficient," says Good. As each revision to the bill of materials progresses to the release of product development, there is a significant change, followed by a review and comparison with the last design. The Kahve coffee maker requires a motor to turn the spinning brew basket. Initially the motor was at the base of the machine with an elaborate pivot and holding system that extended up through the unit. This motor-powered holding system would turn an O-ring under the outer rim of the brew basket, spinning it quickly. Once a brewing cycle began, the spinning brew basket would render uniform coffee extraction. Unfortunately, the large size of the motor required made the planned unit appear bulky, which would not have supported the design team's emphasis on light elegance. DFMA helped reduce the part count of the motor assembly and led designers to reposition the motor higher on the machine, closer to the power destination. As a result, designers found that they could use a smaller Mabuchi motor that needs less power and maintains the sleek lines most consumers expect from luxury design. "The software systematically challenges engineering assumptions. In this case we were freed from a basic misconception that a motor had to be positioned at the base of the unit," says Good. Access engineers recognized that using specially filtered, and temperature controlled water in a coffee maker was one clear way towards better coffee. Using filtered water maximizes the Kahve's taste-enhancing capabilities. Water filtration systems are a core competency at Access, including filters installed on countertops or below sinks. Most Access water filters use carbon activated filtration, and recent technology adds UV-light disinfection for increased cleaning efficiency. The carbon-block water filter works in four steps. Untreated water flows into the outer filter chamber. First, a non-woven pre-filter removes large particulates. Pre-filtered water passes into a second area, closer to the filter core, where another non-woven pre-filter extracts smaller particulates, such as clay and sediments. Next, the central carbon-block filter removes very fine particulates, parasites, lead, and certain chemical contaminants. Carbon, pre-activated with oxidizing gases at very high temperatures, attracts and binds certain chemicals as water passes through the porous carbon block. The filter surface may interact chemically with organic molecules, and electrical forces may result in an ion exchange or adsorption of the contaminant. This filter removes many specific organic contaminants with relatively large molecules, depending on pore size and distribution. After the water is carbon treated, it flows through a tube to exit the filtration system. Some filters also contain a UV-light. When ultraviolet rays penetrate water it destroys other harmful microorganisms like e-coli, cholera, and tuberculosis. 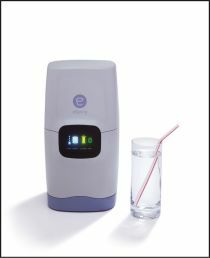 The UV-light sterilizes water by scrambling the DNA structure of exposed microbes. This kills the cell and the microbe is not longer a threat. The ultraviolet light disinfection process kills unwanted bacteria and virus organisms to a 99.9% purity level. Good points out that beyond a demand for the best possible flavor, "The American consumer is increasingly concerned about relatively high water bacteria and contaminant levels." Emphasizing taste and health, Access keeps the pore size of its carbon water filter small, to remove the highest amount of particles. For similar reasons, the company stresses reliability of the sensor bulb that lights when a filter needs replacement. Standards of protection for public water sources vary greatly from one nation to the next. This must be taken into consideration for design and manufacture on an international scale. "China is a major growth sector, with high levels of large particles in the water," says Good. "Therefore, Access currently uses DFMA to benchmark filtration systems and add a pre-filter that will remove large particles without clogging the unit." Access used DFMA to reduce parts count and assembly time of their filter design for combined carbon and UV-light water treatment. DFMA results suggested that the two-piece carbon block holder, called the pressure vessel, be combined into one piece. Designers wanted to integrate the UV-lamp using inductive coupling, which is wireless. This would also eliminate connectors and lead wires to the UV-lamp sub-assembly. The lamp's primary and secondary coils, positioned like a smaller donut inside a larger donut, create a wireless field of electric activity that powers the lamp. The following table shows results from five rounds of DFMA that improved the filtration system. Cost of Assembly ? ? ? Access retains DFMA benchmarks of all prior products for future comparison. The company is currently developing a new unit for the U.S. market. As a next generation, it will be compared to the "parent" product. "We can look at outside competitors, but we view ourselves as our own competition," says Good. Many other companies still rely on outsourcing design, but Access Business Group is bringing design, prototyping, and manufacturing capabilities in-house. "Centralizing these processes retains creative direction, and control of cost and quality," says Good. "The trend at Access is to avoid the dangers of excessive outsourcing of design and manufacture. To achieve success, our company had to avoid becoming facilitators and manufacturing coordinators." Access Business Group purchased many intellectual property rights from contractors in order to consolidate company efforts and maximize control. Internalizing design and product development meant that teams had to become cross-functional. A typical project group has a program manager with a team charter. The charter ensures representation from each department. Depending on the project, there may be a team member from electrical resources, mechanical engineering, and chemical engineering. The group also includes quality assurance and manufacturing representatives. Good notes that "Superior design is a function of analysis, marketing specifications, and other factors. Bringing the design process in-house allows us to apply DFA to all the design elements influencing product cost and performance." The Society of Specialty Coffee Association (SCAA), the largest coffee trade organization, officially recognizes the Kahve Coffee Maker for having the highest measured uniformity of extraction rating for any gravity-drip coffee maker. The SCAA identifies certain criteria for improving coffee taste, including uniform coffee extraction, clean water, and temperature control. The spinning brew basket manages contact time and maximizes coffee extraction. Pure water is achieved with double pre-filtration and the special activated carbon filtration technology, which received the highest rating from the National Sanitation Foundation. The Kahve Coffee Maker is the only brewing machine ever to be formally endorsed by SCAA. Initially, the Kahve was developed as a luxury coffee maker to use with advanced water filtration systems and to boost sales of a specific gourmet coffee line. Having fulfilled its supportive role, the Kahve Coffee Maker design is now available to manufacturers. "The design quality we achieved with DFMA, a high consumer demand for gourmet coffee, and our unique SCAA endorsement make the Kahve Coffee Maker extremely marketable," says Good. The Kahve Coffee Maker, produced by Access Business Group, a leader in water treatment and filtration systems. Using Boothroyd Dewhurst's DFMA software, Access evaluated alternative designs and lowered the number of necessary parts from 122 to 81, saving material and assembly costs. This carbon-block water filter removes specific organic contaminants. A pre-filter removes large particulates before water passes through a second pre-filter. The porous carbon block attracts and binds parasites, lead, and other contaminants. Boothroyd Dewhurst's DFMA software helped Access Business Group reduce part count by 20 percent and assembly time by 35 percent.